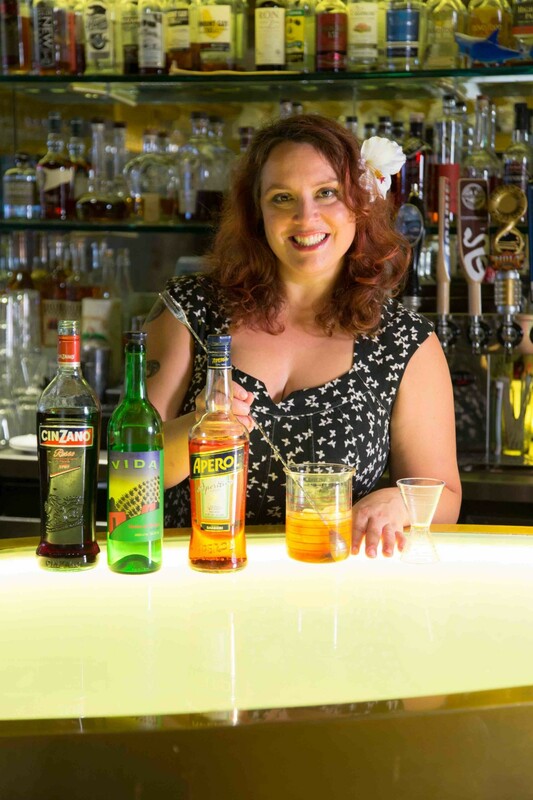 Abigail Gullo aims to educate her customers at New Orleans’ SoBou restaurant. In 2012, Gullo relocated to New Orleans to open SoBou, a restaurant that highlights Caribbean-influenced small plates. “I work very closely with our chef, Juan Carlos Gonzalez, because I feel it’s important that the cocktails pair well with the food,” Gullo says. The whole menu gets overhauled a few times a year, with seasonal changes as different ingredients become available. Signature cocktails ($10 to $12) include the Heavy Metal Drummer, mixing Johnny Drum Bourbon, house-made ginger syrup and a spritz of Laphroaig Scotch, and the King Cake Old Fashioned, blending Rougaroux 13 Pennies Praline rum, El Guapo Chicory-Pecan bitters and cinnamon syrup, served with an ice cube that contains a plastic baby. “During Mardi Gras, people eat king cakes, and I love this tradition, so I created my own,” Gullo explains. 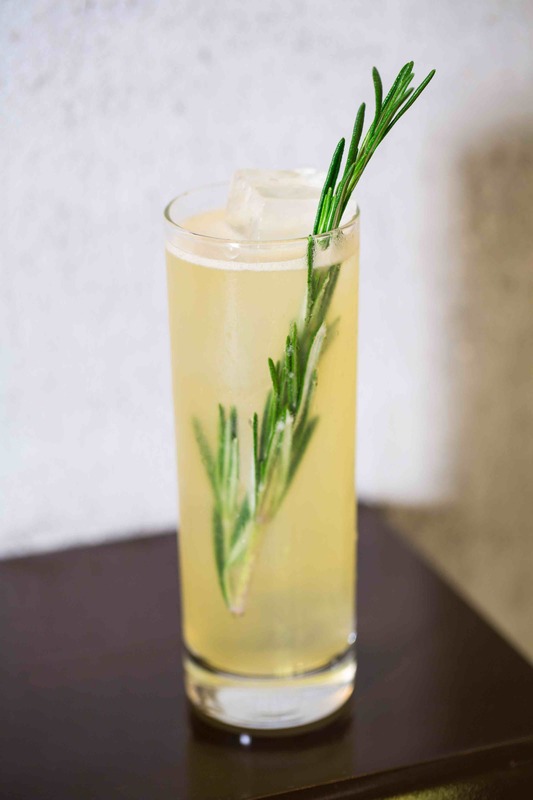 The cocktail list also features popular drinks like the Michael Collins, which comprises Powers Irish whiskey, house-made lavender syrup, fresh lemon juice and a sprig of rosemary. “It’s pretty warm in New Orleans, so refreshing drinks are always in style,” Gullo says. 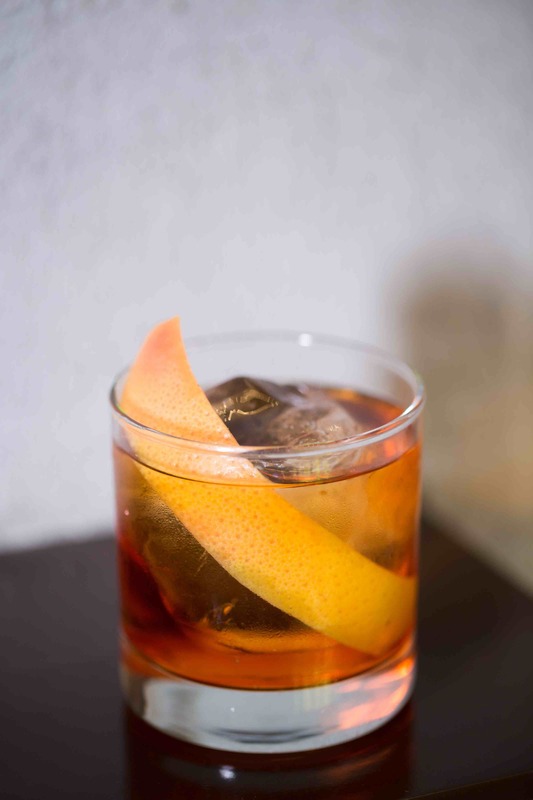 Another favorite is the Death or Glory, a Negroni variation that’s made with Del Maguey Vida mezcal, Aperol aperitif, Cinzano Rosso sweet vermouth and Bittermens Orange Cream Citrate bitters. But the overall top-seller is the Georgia O’Keeffe, which Gullo created with the help of “Mad Men” star and New Orleans native Bryan Batt. The cocktail incorporates Cathead Honeysuckle vodka, Bols Elderflower liqueur, house-made hibiscus syrup and fresh sage, topped with Torre Oria Brut Cava. Combine the mezcal, Aperol and vermouth in a cocktail shaker filled with ice. Add bitters, stir until well chilled and strain into a glass containing one large ice cube. Garnish with a grapefruit peel. Shake the whiskey, lavender syrup and lemon juice in a shaker and strain into an ice-filled Collins glass. Top with soda and garnish with a rosemary sprig. 1Steep ¼ cup lavender buds in 2 cups boiling water for about five minutes or longer to taste. Add 1 cup sugar, stir until dissolved and strain.